Hyun-Jin Ryu…resides in Incheon, South Korea with wife Ji-Hyun Bae…received the Cultural Achievement Award from the Asia Society Korea Center for his contribution to US-Korea relations and mutual goodwill through sports in 2013...appointed as an honorary ambassador for the 2018 Pyeong Chang Olympic and Paralympic Winter Games...has a charity foundation in Korea, the HJ99 Foundation, which helps underprivileged youths play baseball...also released two pop singles this offseason in Korea with stars Hyuna and G.NA with the proceeds going to his foundation...joined other prominent public figures in delivering a speech at the 2014 Samsung "Passion Talk" series, which aims to provide guidance and advice to youngsters...signed by Los Angeles on Dec. 12, 2012 after his posting by the Hanwha Eagles of the Korea Baseball Organization. Despite missing 90 games on the disabled list with a left groin strain, he finished the season strong going 7-3 with a 1.97 ERA in 15 starts for the club…his 1.97 ERA ranked third among Major League starters (min. 15 starts) ... Held opposing hitters to a career-best .221 average, including a .213 mark against righties ... In nine home games, he posted a 5-2 record with a 1.15 ERA (7 ER/54.2 IP) and limited the opposition to a .212 average…led MLB in home ERA (min. 50.0 IP) ... Went 5-0 with a 1.83 ERA (11 ER/54.1 IP) in 10 starts against NL West opponents ... Among NL pitchers with at least 15 starts, ranked second in strikeout-to-walk ratio (5.93), fifth in WHIP (1.01) and fifth in opponents' on-base percentage (.260) ... In two rehab starts with Single-A Rancho Cucamonga and Triple-A Oklahoma City, he went 0-1 with a 1.00 ERA (1 ER/9.0 IP) ... Hit .269 (7-for-26), which is a career high and ranked fourth amongst pitchers with a minimum 25 at bats ... Made four Postseason starts, going 1-2 with a 5.21 ERA (11 ER/19.0 IP), striking out 20 and walking only three. In his first full season since 2014 after recovering from shoulder surgery (2015-16) and elbow tendonitis (2016), he went 5-9 with one save and posted a 3.77 ERA in 25 games (24 starts)...Struck out 116 batters against 45 walks in 126.2 innings...held opposing hitters to a .263 average, including a .240 mark against righties...Made his first career relief appearance on May 25 against the Cardinals and collected his first career save after tossing 4.0 scoreless innings of relief with two strikeouts...became the second Dodger to record a save in his first career relief appearance since Charlie Hough, who did so on August 12, 1970 at Pittsburgh...Pitched well following the All-Star break, going 2-3 with a 3.17 ERA (19 ER/54.0 IP) and holding hitters to a .240 average... ranked amongst NL starting pitchers (min. 50.0 IP) in ERA (10th), opponents' batting average (17th), and opponents' OPS (.708, 23rd) in the second half of the season...Made two stints on the 10-day disabled list: placed on the DL from May 1-11 with a left hip contusion and again from July 1-24 with a left foot contusion. Began the season on the DL following his recovery from left shoulder surgery (May 21, 2015) and was reinstated on July 7, making his first start since Sept. 12, 2014…allowed six runs on eight hits in 4.2 innings and recorded the loss against the Padres...Returned to the DL on July 19 and missed the rest of the season with elbow tendonitis...Went a combined 1-2 with a 4.23 ERA (13 ER/27.2 IP) in eight rehab starts for Single-A Rancho Cucamonga and Triple-A Oklahoma City. Selected to his seventh consecutive All-Star team, going 9-9 with a 2.66 ERA in 27 starts with Hanwha of the Korea Baseball Organization. Picked up his fifth KBO strikeout title, fanning a career-high 210 hitters in 182.2 innings...struck out 66 more than any other KBO pitcher. Averaged 10.4 strikeouts per 9.0 innings, while issuing an average of just 2.27 walks per game. Ranked fifth in the league with a 2.66 ERA. Limited opponents to a .232 batting average and a 1.09 WHIP. November 12, 2018 Los Angeles Dodgers activated LHP Hyun-Jin Ryu. October 29, 2018 LHP Hyun-Jin Ryu elected free agency. August 15, 2018 Los Angeles Dodgers activated LHP Hyun-Jin Ryu from the 60-day disabled list. August 7, 2018 Los Angeles Dodgers sent LHP Hyun-Jin Ryu on a rehab assignment to Oklahoma City Dodgers. August 2, 2018 Los Angeles Dodgers sent LHP Hyun-Jin Ryu on a rehab assignment to Rancho Cucamonga Quakes. June 2, 2018 Los Angeles Dodgers transferred LHP Hyun-Jin Ryu from the 10-day disabled list to the 60-day disabled list. Left groin strain. May 3, 2018 Los Angeles Dodgers placed LHP Hyun-Jin Ryu on the 10-day disabled list. Left groin strain. November 2, 2017 Los Angeles Dodgers activated LHP Hyun-Jin Ryu. October 6, 2017 Los Angeles Dodgers reassigned LHP Hyun-Jin Ryu to the minor leagues. July 24, 2017 Los Angeles Dodgers activated LHP Hyun-Jin Ryu from the 10-day disabled list. July 4, 2017 Los Angeles Dodgers placed LHP Hyun-Jin Ryu on the 10-day disabled list. Left foot contusion. May 11, 2017 Los Angeles Dodgers activated LHP Hyun-Jin Ryu from the 10-day disabled list. May 1, 2017 Los Angeles Dodgers placed LHP Hyun-Jin Ryu on the 10-day disabled list. Left hip contusion. November 7, 2016 Los Angeles Dodgers activated LHP Hyun-Jin Ryu from the 60-day disabled list. August 1, 2016 Los Angeles Dodgers transferred LHP Hyun-Jin Ryu from the 15-day disabled list to the 60-day disabled list. Left elbow tendonitis. July 19, 2016 Los Angeles Dodgers placed LHP Hyun-Jin Ryu on the 15-day disabled list retroactive to July 9, 2016. Left elbow tendonitis. July 7, 2016 Los Angeles Dodgers activated LHP Hyun-Jin Ryu from the 60-day disabled list. July 1, 2016 Los Angeles Dodgers sent LHP Hyun-Jin Ryu on a rehab assignment to Rancho Cucamonga Quakes. June 23, 2016 Los Angeles Dodgers sent LHP Hyun-Jin Ryu on a rehab assignment to Oklahoma City Dodgers. June 12, 2016 Los Angeles Dodgers sent LHP Hyun-Jin Ryu on a rehab assignment to Rancho Cucamonga Quakes. May 25, 2016 Los Angeles Dodgers sent LHP Hyun-Jin Ryu on a rehab assignment to Oklahoma City Dodgers. May 15, 2016 Los Angeles Dodgers sent LHP Hyun-Jin Ryu on a rehab assignment to Rancho Cucamonga Quakes. November 6, 2015 Los Angeles Dodgers activated LHP Hyun-Jin Ryu from the 60-day disabled list. May 4, 2015 Los Angeles Dodgers transferred LHP Hyun-Jin Ryu from the 15-day disabled list to the 60-day disabled list. April 5, 2015 Los Angeles Dodgers placed LHP Hyun-Jin Ryu on the 15-day disabled list retroactive to March 27, 2015. Left shoulder impingement. August 31, 2014 Los Angeles Dodgers activated LHP Hyun-Jin Ryu from the 15-day disabled list. May 21, 2014 Los Angeles Dodgers activated LHP Hyun-Jin Ryu from the 15-day disabled list. 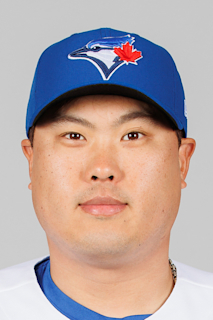 December 9, 2012 Los Angeles Dodgers signed free agent LHP Hyun-Jin Ryu.